The Springfield Police Department has an opening for a SCHOOL CROSSING GUARD. The position is from 7:20am to 9:00am and from 2:45pm to 3:45pm Monday through Friday. Substitute positions are also available. Applications can be picked up at the Springfield Police Department. For information, please call 610-544-6900.
and violating designated handicapped spaces. To some this may seem petty but these issues contribute to a decline in our quality of life, compromise public safety and have led to a total disregard for those individuals that do comply with the law. Historically the police have been charged with parking enforcement and will continue to participate. However, in today’s world the police are more effective dealing with more urgent calls throughout the town. In order to best address this matter the Township has created a “Parking Enforcement Unit” in the License & Inspection Department. This is being done with existing personnel and will not result in new employees. Individuals assigned to this unit have been advised to be fair, consistent and reasonable in doing their job. They will try to minimize the negative effects associated with parking enforcement. it is not touching the tree trunk and it is spread in a thin layer under the canopy of the tree. 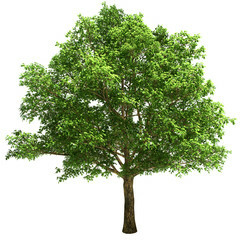 The proper way to plant a tree is readily available information - see link below for instructions. September is National Preparedness Month.Â Any citizen wishing to register for the system or who does not currently receive messages needs to update their registration and can do so at www.springfielddelco.org then click on the CodeRED link. For those without computer access registration may be completed by contacting Springfield Township Â at: (610) 544-1300. I received a CodeRED call; does that mean I am in the CodeRED database? Yes. If they would like to submit additional information, such as cell phone numbers, text and email information, they must visit your website and click on the Logo. Â Â CodeRED always de-duplicates by phone number, so if they are unsure if they are registered, they should just submit their information again. This will ensure they are in the database! Why did CodeRED call me several times? If there is no answer and they do not have an answering device, the number will be attempted up to 3 times. It called me but no message played. If they answer and do not say hello, CodeRED will not begin playing automatically. It is trying to determine if it has reached a live person or answering device. If they do not say anything, it will hang up and retry the number in the next pass of the non-connected numbers. Why did it leave only part of the message on my answering machine? CodeRED will leave a message on an answering device. There are many different brands and types of capturing devices for leaving a message. Occasionally something about the answering device or the beep of the device causes the system to think it has reached a live person and begins playing the message. When the message is left, it only leaves part of the message. They can call back the 866-419-5000 and receive the entire message. This does not happen often. There is a chance that they may get a few of these. Why does my phone ring once and hang up? It has called me twice and won’t let me answer it. If they have a ring back tone, which plays a song instead of ringing, the system will interpret this as an Operator Intercept and hang up, only to retry the number. They have two options. They can remove the ring back tone or they can contact their cell phone provider and request that the phone number for the general database 855-969-4636 and for the emergency database 866-419-5000 and for CodeRED Weather Warning 800-366-9780 bypassed by this feature and have it ring normal. Powered by Computer & Network Paramedics, Inc.